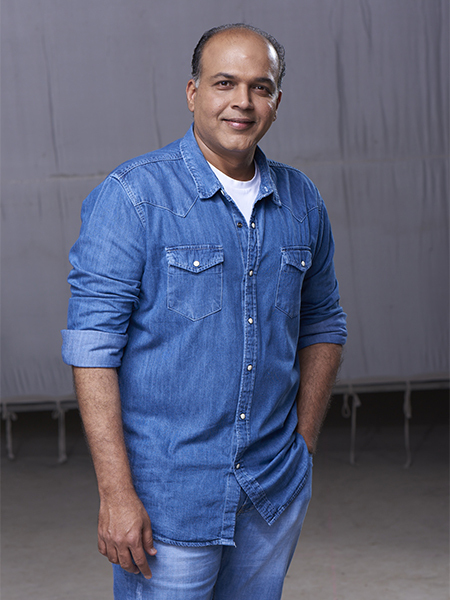 Filmmaker Ashutosh Gowariker’s journey in the world of cinema has come full circle. Not many remember that the 52-year-old had ventured into movies as an actor with Ketan Mehta’s Holi (1984). Acting, however, took a backseat when his directorial career received a fillip with the Oscar-nominated film Lagaan: Once Upon a Time in India (2001). “I never planned to come back to acting because I thought that directing itself is an all-encompassing job which I enjoy,” Gowariker tells Forbes India, sitting on a couch in his suite at Juhu’s Novotel Hotel. Q. What according to you are the four pillars of a film that you are a part of? Personally, the theme would be most important, as to what the film is trying to say. When I was thinking about what I should make on religious tolerance, it gave birth to Jodhaa Akbar. When I was thinking about nationalism, I made Swades. Mohenjo Daro was more about the environment angle, where [we depicted] how we are destroying our environment, how as a civilization, we are on the brink of collapse. Next, it should have some kind of learning – a social or moral message and a path of discovery in it. Fourth, it should also entertain. I like to enter the unknown with every film, because then I am able to discover and look at that world in amazement and then try and bring that story together. I want the audience to experience the same joy and awe that I experience. Q. How do you take the criticism which Jodhaa Akbar and Mohenjo Daro got for distorting historical facts? There will always be [some kind of] objection, because there are so many different historical theories. And so many debates between historians and archaeologists. As a filmmaker, you choose the best interpretation that you would like and take that to the screen. If you go for the real truth, then it’s a documentary. And we are not in the art of making documentary films. We are into making movies, telling stories and re-interpreting. Q. When your film doesn’t perform well at the box office, how do you deal with it? I feel sad because a lot of money is riding on it. Reputation is riding on it. Your first responsibility is towards the person who is giving you those funds. In the case of a book, when a book doesn’t work, we never call it a colossal failure. But if that book is made into a film, there is so much more money riding on it that you will call it a big loss [if it does not do well]. You have to take it in your stride and introspect. In the case of Mohenjo Daro, 50 percent of the audience loved it, 50 percent did not. I am thankful to the people who loved it; that they appreciated the vision and aligned with it. But ones who didn’t, I’ll have to analyse why they did not. I am not someone who goes into a shell. I like to break the shell. Q. You are returning to acting in a Marathi film after 18 years. What was it like facing the camera after all these years? Thankfully, it is a character which is very close to me, because the role is that of a filmmaker. I had requested [director] Rajesh [Mapuskar] two weeks of reading time wherein I could just sit with him and read the script. So I was not suddenly put in front of the camera and asked to perform! Overall, it was a different experience to face the camera again. Quite liberating! Q. Are you looking at producing/directing a Marathi film going forward? I have been toying with this idea for quite some time now but I haven’t zeroed in on any thematic content simply because my movies have taken so much time, that I never got a chance to break away. But my desire is very strong to come up with something in the next two years.